That the first performance of Some Sneaky Sheep and Other Tales was sold out Saturday afternoon at the Underground was undoubtedly due in large part to the popularity of local cartoonist, illustrator and author Chris Monroe and her children’s books. That being said, the Theatre for Young Audiences deserves an equal share of the credit for bringing the silly antics in Monroe’s stories to life with creativity, energy and a whole lotta fun. Thank you so much to the enthusiastic crowd that came out to the Underground yesterday afternoon to celebrate the Playhouse and hear what’s coming to our stages in 2016-2017! Along with announcing the Depot main stage, Underground, Children’s Theatre, and Theatre for Young Audiences (TYA) series, there was also information and applications available on the 2016-2017 Playhouse Resident Company, updated Nor Shor theatre floor plans to view, and a plethora of opportunities to become more involved with the Playhouse from part-time paid positions to volunteering! Now, without further pause, click the’ Read More’ button to see what’s coming to our stages in 2016-2017! Yes, girls and boys, James and the Giant Peach, the Theatre for Young Audiences production that opened at the Playhouse on January 15th, does indeed have a Giant Peach. In fact, it has several versions of the Giant Peach, each of which is painted to peachfection. 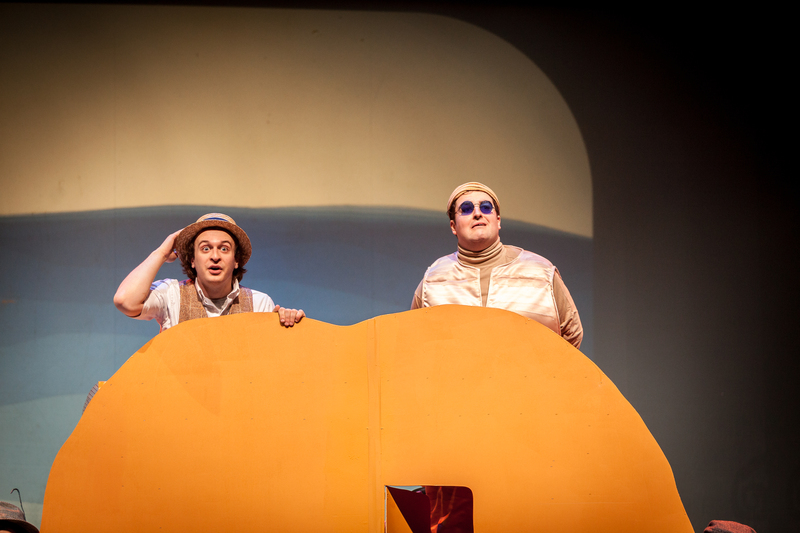 Sneak Peek: James and the Giant Peach! Poor young James’ parents meet the wrong end of a rhinoceros, and he is sent to live with his awful aunts, who treat him terribly. So he’s pretty eager for this potion an elder gent tells him about. It’s said to provide happiness and adventure. Through a series of mishaps involving the recipe, he ends up with a giant peach in his yard, and its occupants ride along as he goes on a magical trip. Named one of this week’s Best Bets inside the Duluth News Tribune, check out a few behind-the-scenes as well as production photos of the show! The Imaginarium Myth Adventure Opens This Weekend!! Coming to The Underground weekends July 11th-26th, you’ll find a fun show called “The Imaginarium Myth Adventure”. This show is the final show of the Theatre for Young Audiences (TYA) series for the summer 2015 season. Where did the summer go?! This show is going to be so much fun! Join Eugene and Wini as they set off for adventure using their imaginations to explore mythology. These two kids…they LOVE mythology, but do NOT like their baby sitter, Bob. 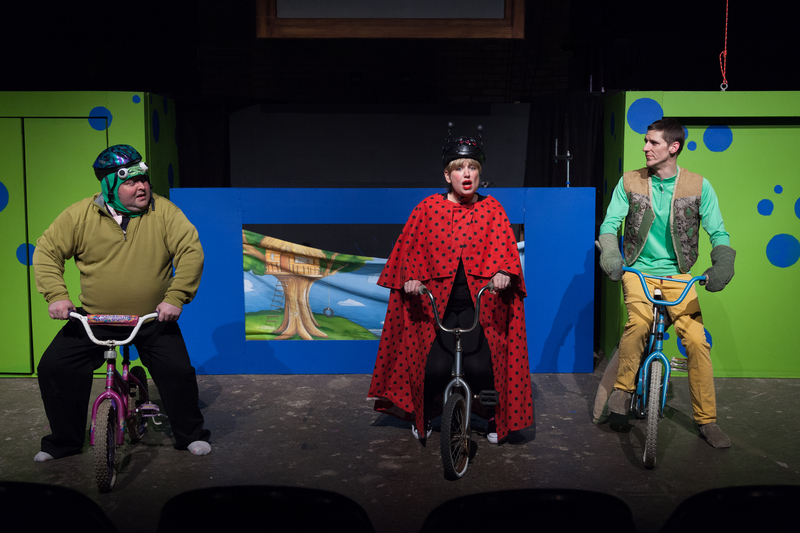 This interactive and energetic original play will be a blast for the entire family. You do not want to miss the Theatre for Young Audiences in their final show for the summer. Show times are Saturdays @ 11am and 1:30pm, and Sundays @ 1:30pm starting July 11th and running through July 26th. It turns out that you need neither to be a kid nor have a kid in tow to see Behind the Shining Star, the Trampled by Turtles fairy tale that opened at the Underground on Saturday (June 6). 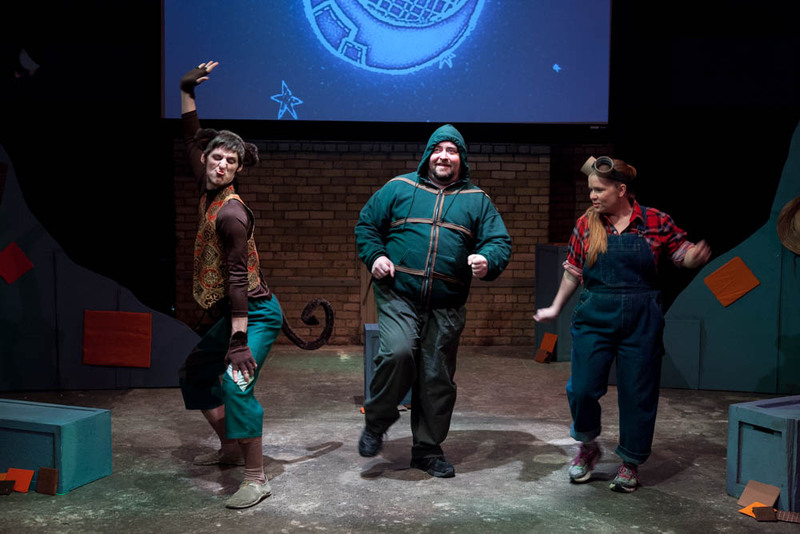 However, this creative and engaging show, written by director Robert Lee and Crystal Pelkey, was developed specifically for the Pre-K age group and not for TBT fans impatient for next month’s concert at Bayfront Festival Park.